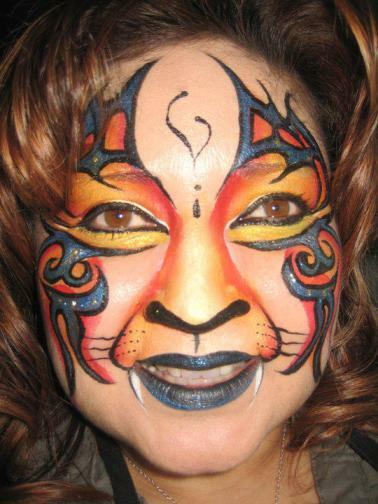 HOW DID YOU GET STARTED IN FACE AND/OR BODY PAINTING? I was looking for a creative way to make extra money where I could have my own schedule and enjoy what I did. > WHAT DID YOU DO BEFORE THAT? I did graphic design, I worked in sign shops designing logos and setting up sings, mostly vinyl graphics... like car wraps & such. 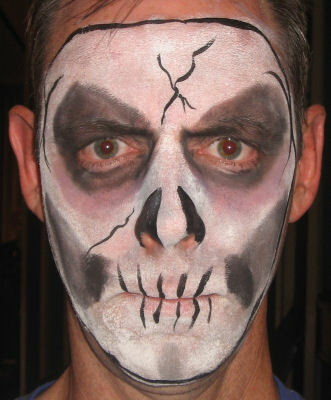 > WHAT DO YOU NOW BESIDES FACE AND/OR BODY PAINTING? > WHAT PAINT BRANDS ARE YOUR FAVORITES? WHY? Wolfe FX, because the vibrant colors. > WHAT IS YOUR FAVORITE THING TO PAINT? 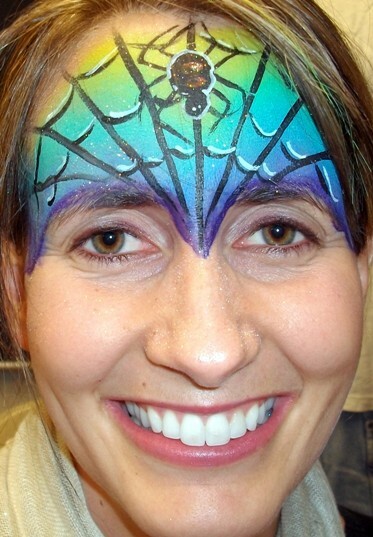 > IS THERE SOMETHING ELSE ABOUT YOUR CAREER AS A FACE/BODY PAINTER THAT YOU WOULD LIKE OTHERS TO KNOW ABOUT? 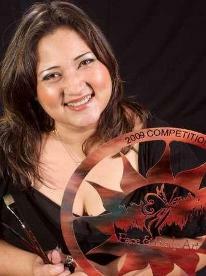 I have two first place awards for face painting.. one in 2009 at FABAIC in the novice catagory, the other in 2010 in Vegas. 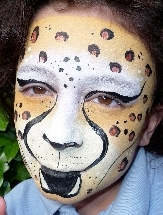 I started face painting in 1984, when my oldest daughter started school. 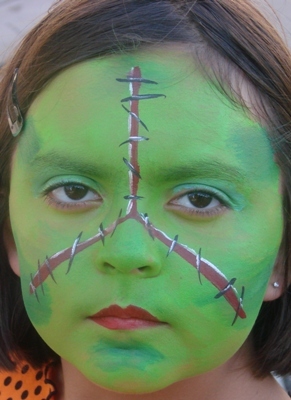 I would do volunteer painting for all the school parties. 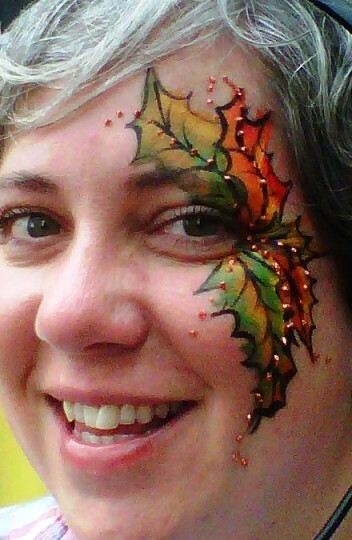 Just little doodle art on the cheek, but the children loved it. 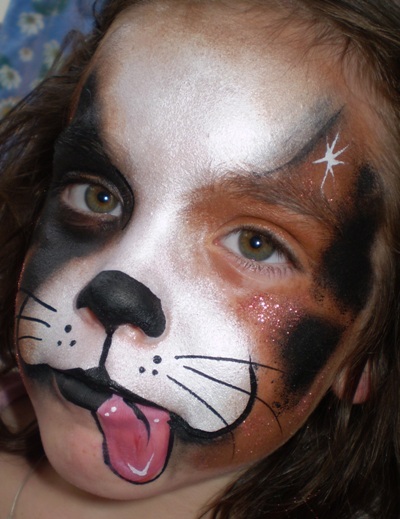 I researched face paints and products and went professional in July of 2009! all my products. 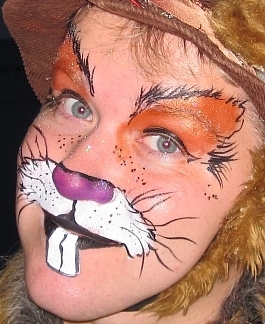 I also taught myself how to airbrush, and incorporated that into my woodcraft business. I did on the average of thirty shows per year, traveling all over the state of Michigan. 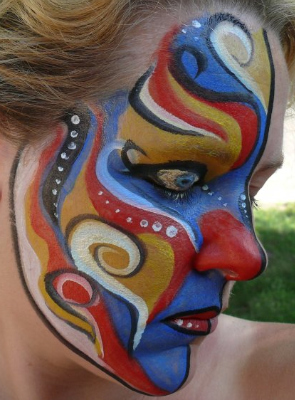 I am retired so I have gone full steam ahead into my new business of face and body painting, also I am planning on teaching classes very soon! I use Diamond FX, Snazaroo, Paradise, and Wolfe. 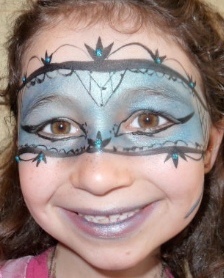 But my first love is Diamond FX paint! 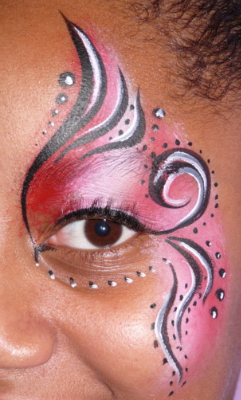 Diamond FX is so bold and bright, and the coverage is amazing. I absolutely love to paint roses! Lots and lots of roses! 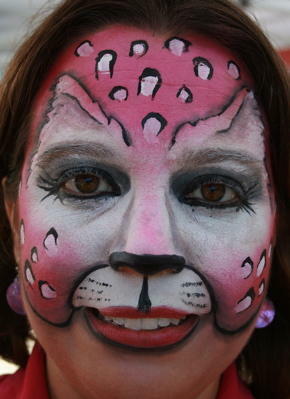 And I would have to say that the "tiger" is my second favorite! 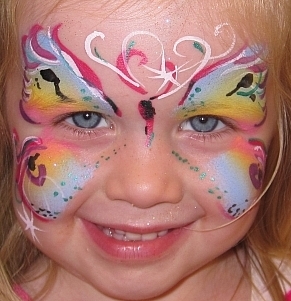 Then I would have to say the "butterfly" With all the glitter! 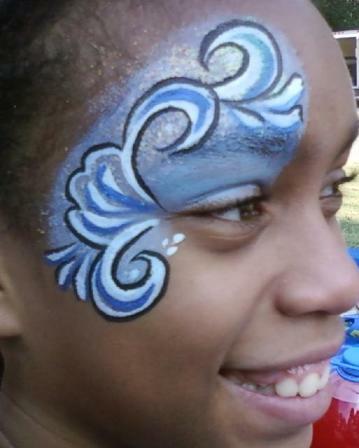 The most rewarding thing about face painting to me is to paint a design on a small child, hand them my magic mirror, and watch their faces turn into a giant smile! It touches my heart! I feel truely blessed to chat with and share my work with so many great amazing artists from all over the world, I look forward to the day of our meetings. I love life! 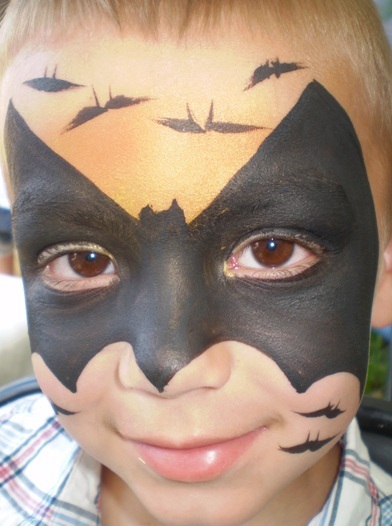 I love to teach face painting classes! 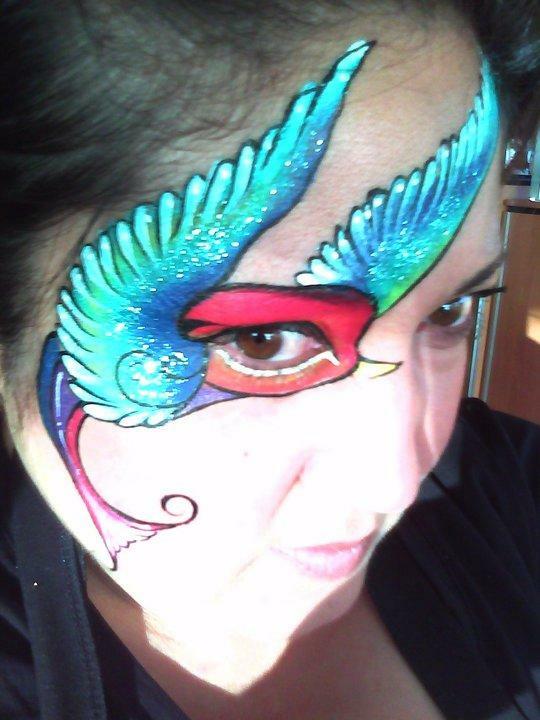 I have been honored to teach at FABAIC, Learn and Play, The Western Regional Clown Assocation, and the Face Painting and Body Art Convention. 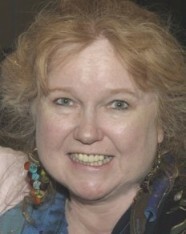 I also host classes in Southern California. I am best known as an expert on the world of professional speaking. I have written several books on the subject, and others, one of my best selling books is about how to type with one hand. I got into painting by doing those silly painted Christmas yard signs. This lead to my first art book, Cobblestone Cottages From Junk Jars, then an ebook, Paint A Cobblestone Courtyard On Your Cement Floor. Now I have all kinds of paint patterns for sale on-line and a book on how to paint on fabric. 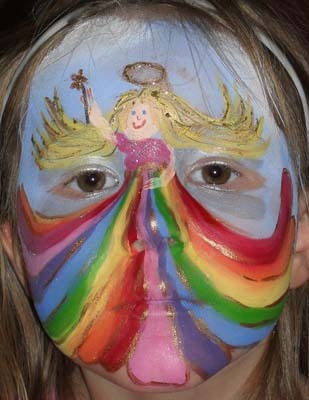 Then one day my church asked me to help at a Festival painting faces. 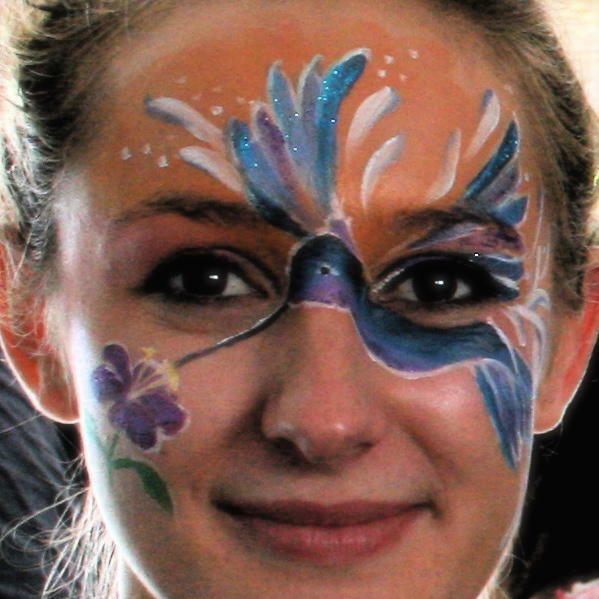 At the Festival we do from 600 - 850 faces in two days. I train their volunteer staff of painters and help coordinate the event. My favorite paints are mostly Diamond FX and pressed powders. 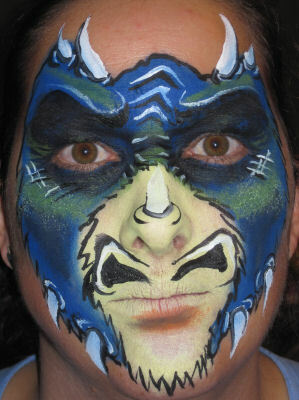 In June of 2008 I founded the West Coast Face Painters, which is a support group for 500 other professional face painters. 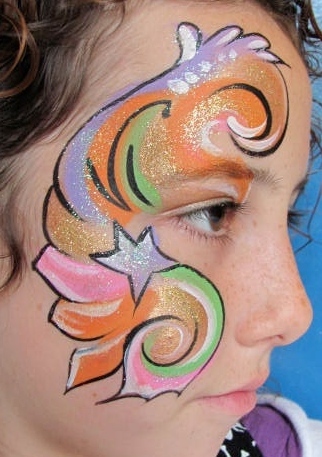 I got started face painting in January of 2008 after I graduated from Hollywood Expression's School of Makeup Artistry, a lot of my makeover clients and bridal clients asked to add a little flower or star, and would I do a party so I tried it and had so much fun. I have been hooked ever since! 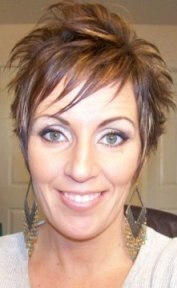 I was a stay at home Mom before that, I have five kids! 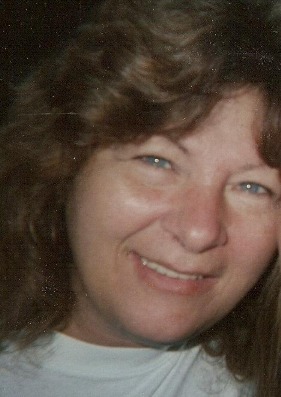 I was a travel agent before doing the Mom thing! 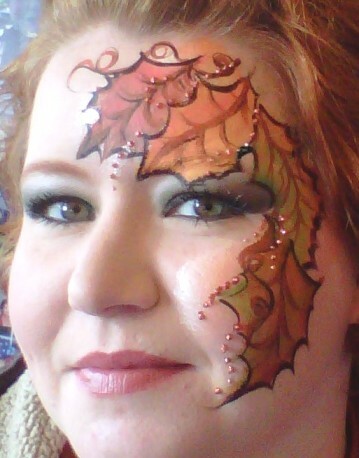 I don't do much besides the face and body painting and raising a family! Not enough time to do more! 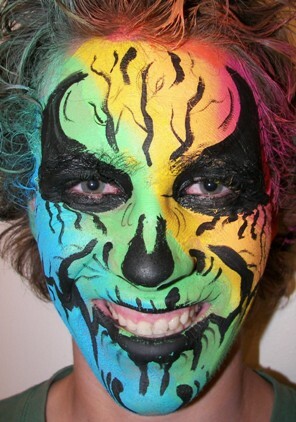 My favorite paint brands are Paradise, Wolfe Brothers, Kryolan, Ben Nye, Diamond FX and I love Arty Cakes! My favorite thing to paint, that's tough I love so many designs some never get old probably a 30 second 3D spider I made up using split cakes is my favorite right now. I love learning new techniques and designs I have never been able to take a class to teach me how to get better, that is my goal for the future, I truly look forward to becoming a better artist!